Ms. Branch is currently Director of Diversity and Inclusive Practices for the Council on Foundations, a national nonprofit association of approximately 2,000 foundation and corporate grantmakers. She is a Peirce graduate and formerly served as the College’s Vice President for Institutional Advancement. She lectures and consults frequently on the subject of leadership, advancement, and inclusion. Dr. Dinson's strong information technology credentials and experience from the corporate sector, as well as teaching positions in higher education, promise to be strong assets for the Board. He is currently a Principal Consultant with the MITRE Corporation, and previously held positions at L-3 Communications, Marine Systems, America Online, Inc., Walt Disney World, Raytheon Corporation, and General Electric. Dr. Dinson also has 10 years of experience teaching graduate courses in both the classroom and online. As a Certified Financial Planner (CFA), Mr. Haefner brings extensive financial expertise to the Board. He has held senior positions with personal financial management institutions including Principal Funds, the Calvert Group, Prudential Securities, and Metlife. PHILADELPHIA -- February 26, 2010 -- Peirce College announced the election of three new members of the Board of Trustees at the College’s February 25 board meeting. The new trustees are: Renée Byng Branch, Dr. Al Dinson and Geoffrey R. Haefner. “Peirce has a long standing reputation as one of the region’s leaders in higher education programs for working adults. These new trustees understand the education needs of that sector and what the College must do to continue meeting those needs,” said board chair Gregory West. Renée Byng Branch has over 15 years of senior leadership experience in institutional advancement, diversity and inclusion, government relations, and public administration. She currently serves as Director of Diversity and Inclusive Practices for the Council on Foundations, a national nonprofit association of approximately 2,000 foundation and corporate grantmakers. She is a Peirce graduate and served formerly as the College’s vice president for institutional advancement. She lectures and consults frequently on the subject of leadership, advancement, and inclusion. 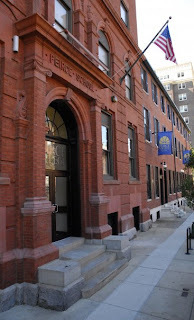 Branch was educated in the Philadelphia public school system. She earned a Master of Science degree from Drexel University, a Bachelor of Science degree from Eastern University and an Associate of Science degree from Peirce College. She also completed studies at the Institute for Educational Management at Harvard University. Dr. Al Dinson, PMP, brings strong information technology credentials and experience from the corporate sector to the board, as well as teaching positions in higher education. He is currently a Principal Consultant with MITRE Corporation. He previously held positions at L-3 Communications, Marine Systems, America Online, Inc., Walt Disney World, Raytheon Corporation and General Electric. Dinson also has 10 years’ experience teaching graduate courses in both the classroom and online. 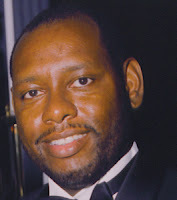 Dinson holds a Doctor of Business Administration/IT degree from Nova Southeastern University; a Project Management Professional/PMP certification from the Project Management Institute; a M.S., Management from Florida Institute of Technology; a B.S., Business Administration from the University of Central Florida; and a B.S., Computer Science from Chicago State University. Geoffrey R. Haefner, CFP® brings extensive financial expertise to the board. He has held senior positions with personal financial management institutions including Principal Funds, the Calvert Group, Prudential Securities and Metlife. Haefner is a Certified Financial Planner. He has a Bachelor of Science, Accounting from the University of Scranton, Scranton, and an Executive MBA from The Pennsylvania State University, Smeal College of Business.